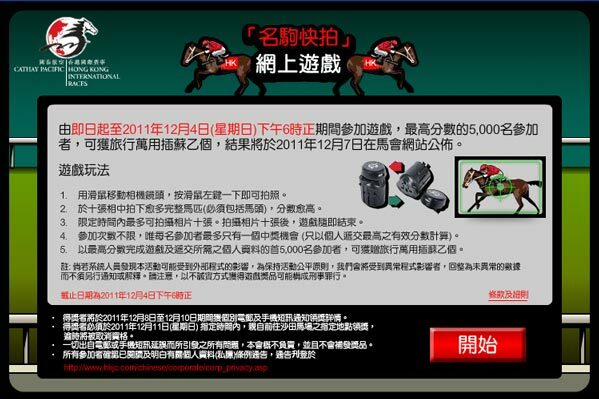 Jockey Club needed to promote their Cathay Pacific Hong Kong International Race. 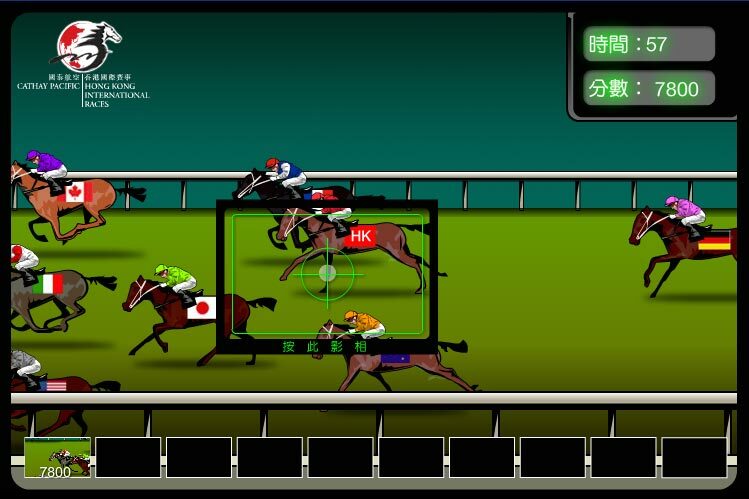 Basil Digital was appointed to develop a flash game to draw public attention. Hence we came up with a original game idea: a horse racing photo shooting competition. The horse running sequence was illustrated and animated frame by frame to ensure smooth life-like motion.